Volexity’s pioneering detection & response technology offers unique visibility into systems, providing clear, reliable results. Volexity offers thorough incident response, customized threat intelligence, and critical data asset protection. Volexity’s experienced technical leaders provide superior guidance through an uncharted threat landscape. We are all super impressed with the new tool; you guys really hit it out of the park. Volexity functions integrally to our bespoke CIRT. Their FPC egress monitoring & analysis underpins our defense against advanced threats. In our years of association, I don’t recall a single false positive or bad piece of advice. This is the team you want on your side. They are alert 24/7, and they can handle large and complex networks, acquisitions, divestitures, and sensitive systems. We are an international human rights organization subject to APTs. Volexity guided remediation of our network when it had been hacked, and their monitoring and advice has kept us clean for three-and-a-half years since then. It’s a dangerous world and Volexity is the right partner for staying safe. The 2016 U.S. Presidential and Vice-Presidential debates were successfully hosted at Hofstra University, Longwood University, Washington University in St. Louis, and the University of Las Vegas, Nevada, without incident. 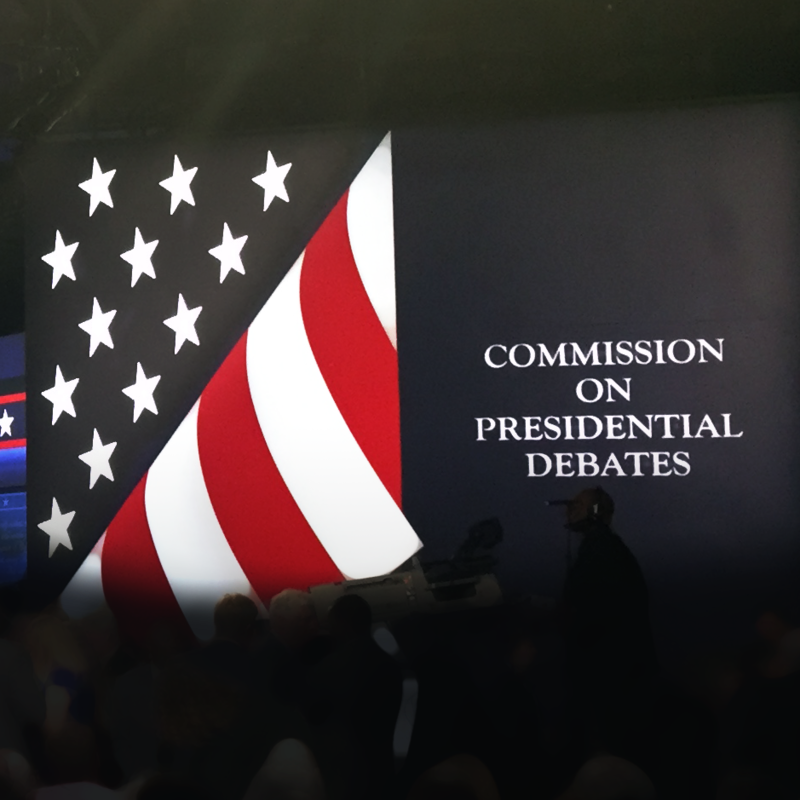 These debates are sponsored and produced by the Commission on Presidential Debates (CPD). Due to increasing cyber threats and the importance of its responsibilities, the CPD wanted to take necessarily proactive steps to protect their systems, their leadership, and even the debates themselves.